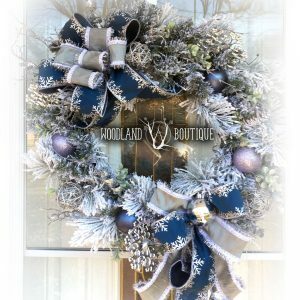 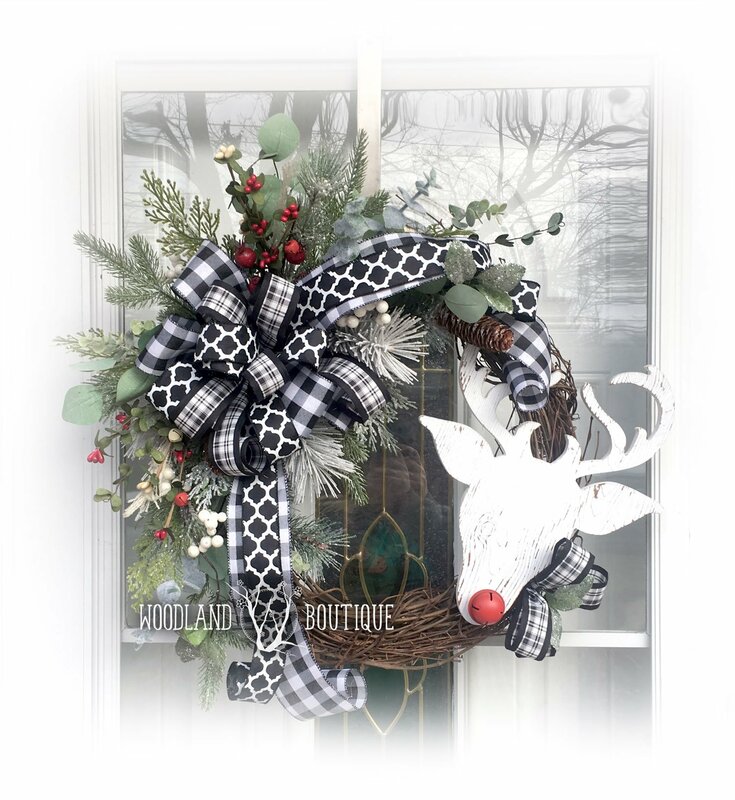 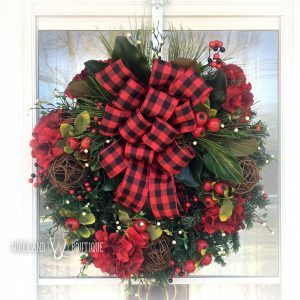 Wreath measures approximately 26″ across. 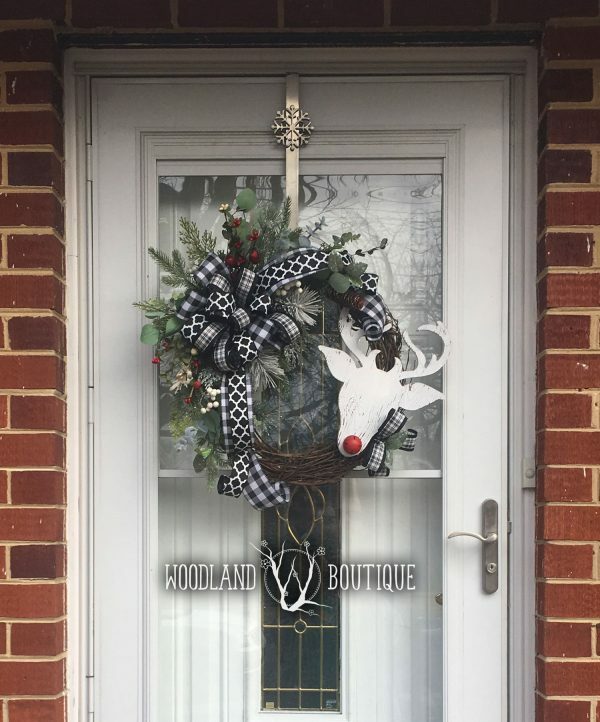 See 2nd photo for size reference (pictured on a 36″ door). 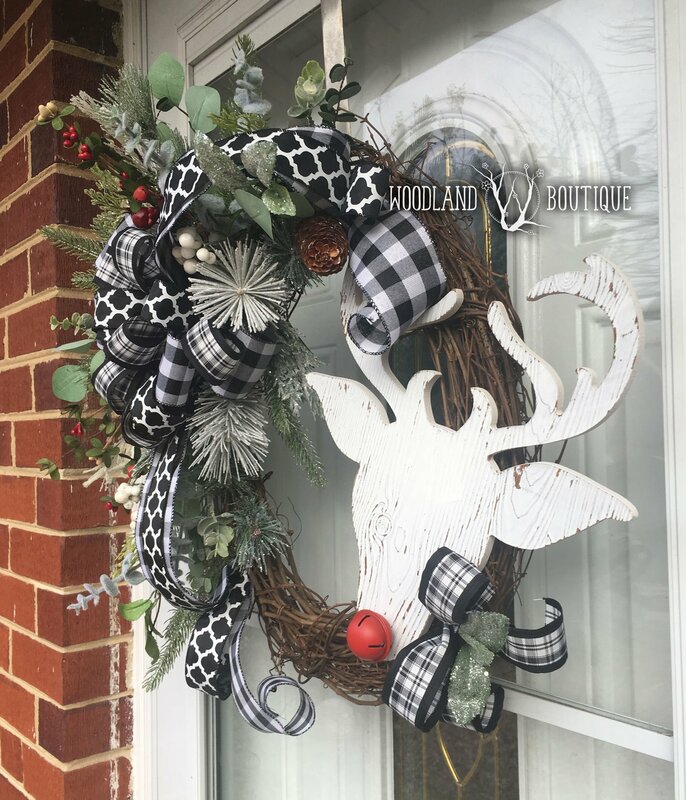 A whimsical red-nosed reindeer (Rudolph, perhaps?) 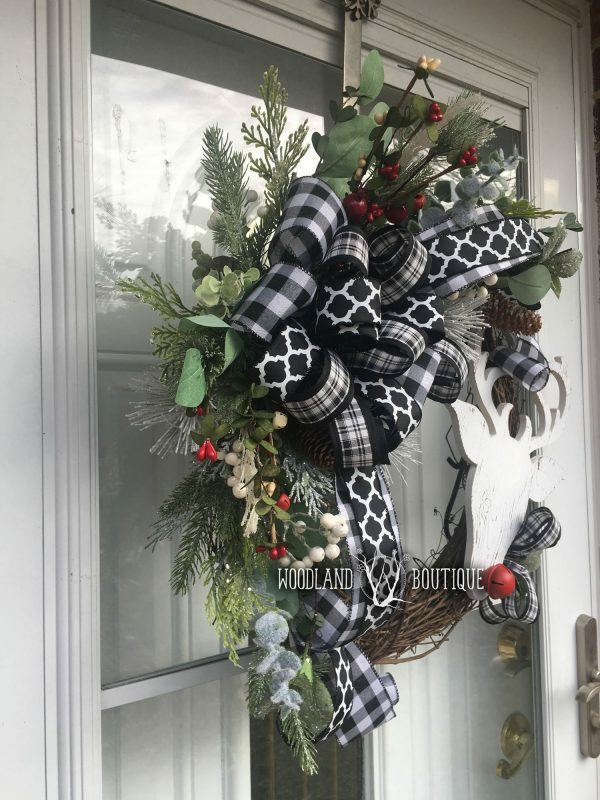 pairs wonderfully with an assortment of charming black and white ribbons and premium snowy greenery, red berries, pinecones, and tinkling little bells. 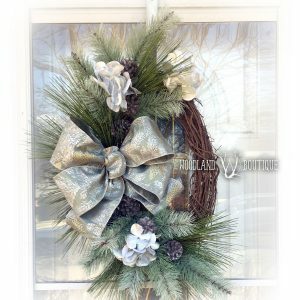 You can also buy the greenery to make a version of this wreath yourself.